We invite you to feel at home in your own spacious apartment which you can decorate as you like. 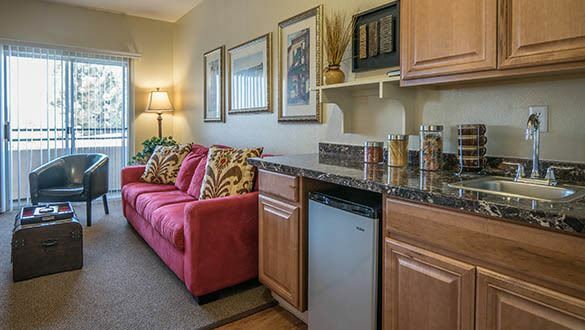 Choose a studio or one bedroom and enjoy a kitchenette, large bathroom, walk-in closet and a balcony or patio. We offer the highest quality and best value in Independent and Assisted Living.